Happy Tuesday! I hope your week is off to a great start! Like I mentioned in yesterday's post, I'm all about style on a budget. You shouldn't (and don't have to) spent a ton of money to put together a cute outfit that you feel confident in! I started sharing style inspiration here on the blog almost six years ago when I was pregnant with my youngest daughter. I shared the maternity looks that I put together by mixing items I already owned and thrift store pieces. I bought very few maternity items from "real stores" and focused my wardrobe on budget friendly, thrifted clothing. I realized that people actually enjoyed seeing the looks that I put together so I started sharing more and eventually started sharing my daily outfit via the "ootd" hashtag on Instagram. It's pretty awesome that passion for style has turned into a part-time job. And P.S. thank you so much to all of my "real life" friends (and my husband) who have always supported me... even if fashion isn't your thing. Today, I'm styling budget friendly pieces for y'all from Magnolia Lane Boutique. Magnolia Lane is a North Carolina based boutique (yay for North Carolina girls pursuing their dreams). Y'all, everything from this boutique is under $50! 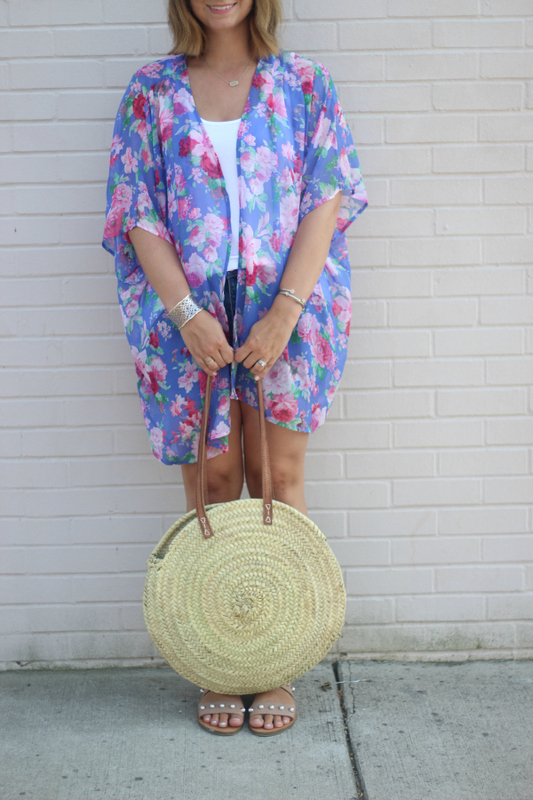 The dress, kimono, and tee in this post are less than fifty dollars. I styled the dress with wedges for a dressier look but it would also be perfect with sandals or ankle boots (when the weather cools off). It's a such a great versatile basic! The kimono has the prettiest colors in it so I kept the rest of the look pretty neutral with a white tank and denim shorts. The tee made me giggle has soon as a I saw it. 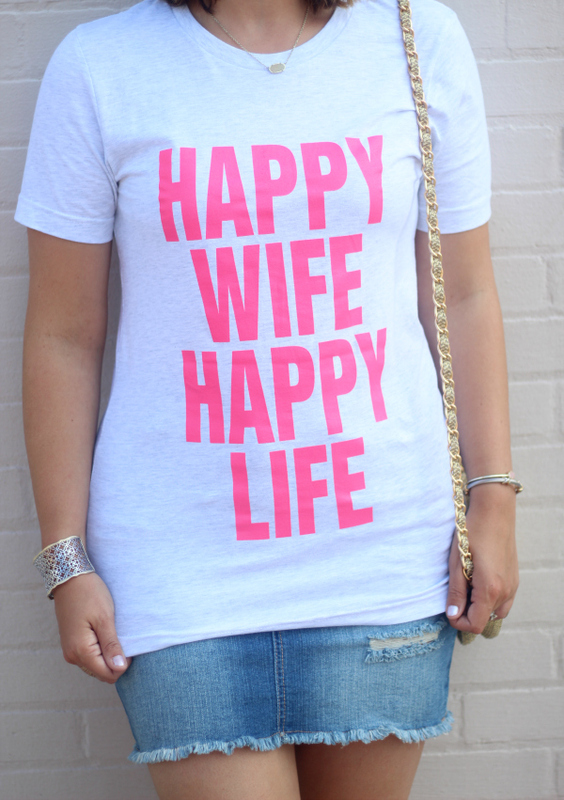 I think my husband would agree with "happy wife, happy life"... lol! Be sure to check out Magnolia Lane Boutique for yourself to see what's new! I'm loving all those pieces! 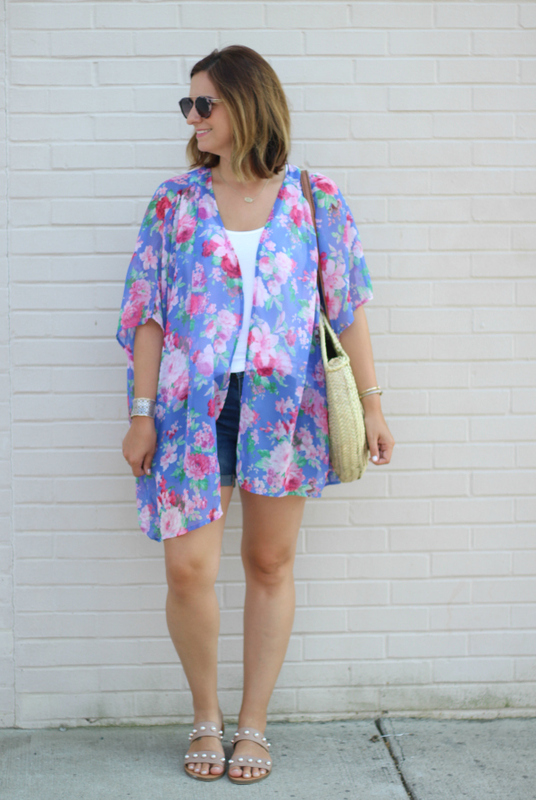 That kimono might be my favorite! Wow that's so affordable! I like how trendy the clothing is, despite being a super bargain price! Love everything! The kimono is beautiful! Love the grey dress!! It's so classic! I totally need that t-shirt!! These outfits are so cute!! youre so cute! and I love the bag!! !